Happy Wednesday! It’s mid-week and you know what that means, SWEET TREATS! 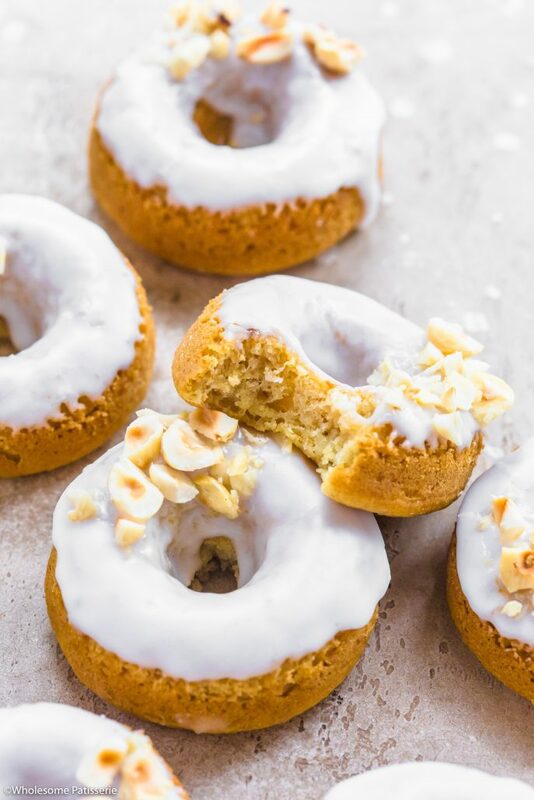 In the form of these luscious Coconut Hazelnut Baked Donuts – oh YES! 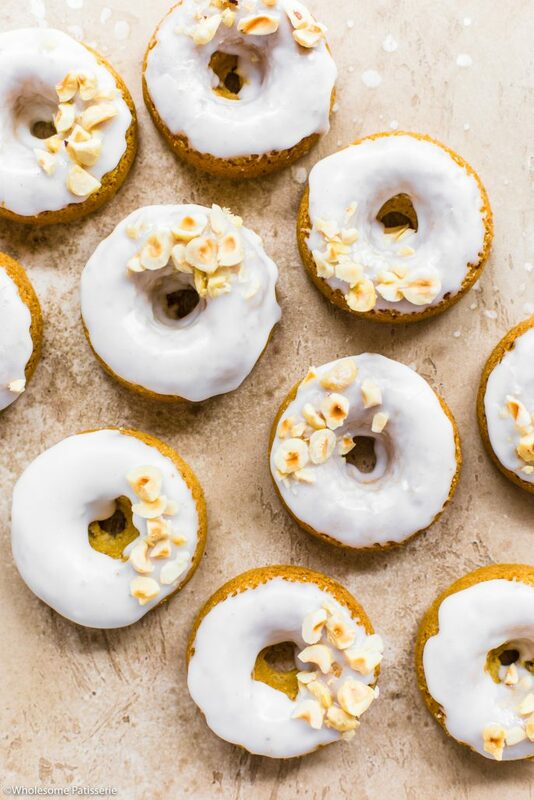 So these are more like cake donuts but we aren’t judging? They still have a hole in the middle and taste like a donut, but a lot healthier! I remember my first time eating a Krispy Kreme Donut and I was legitimately FULL after eating half of one of those basic glazed ones, wow! 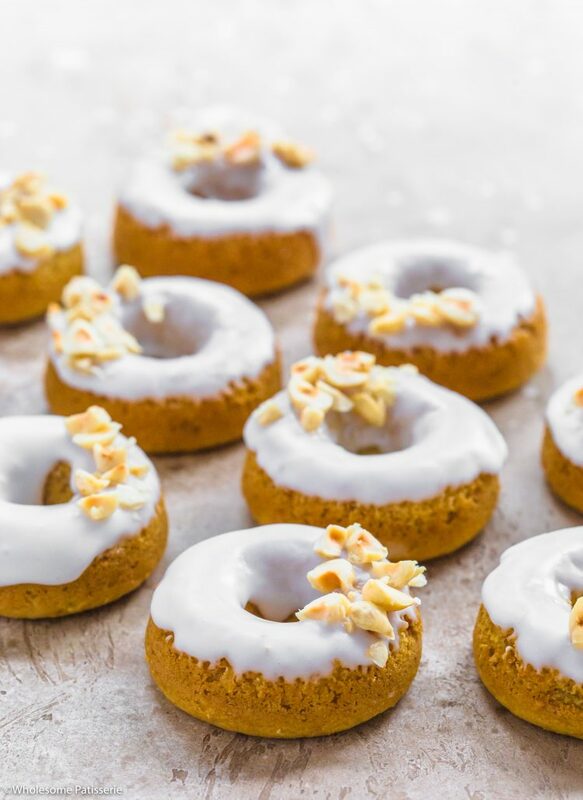 I promise you won’t feel yuck after enjoy one of these coconut donuts, look at how cute they’re! Do you have a donut pan ready to go? Then there is no excuse! 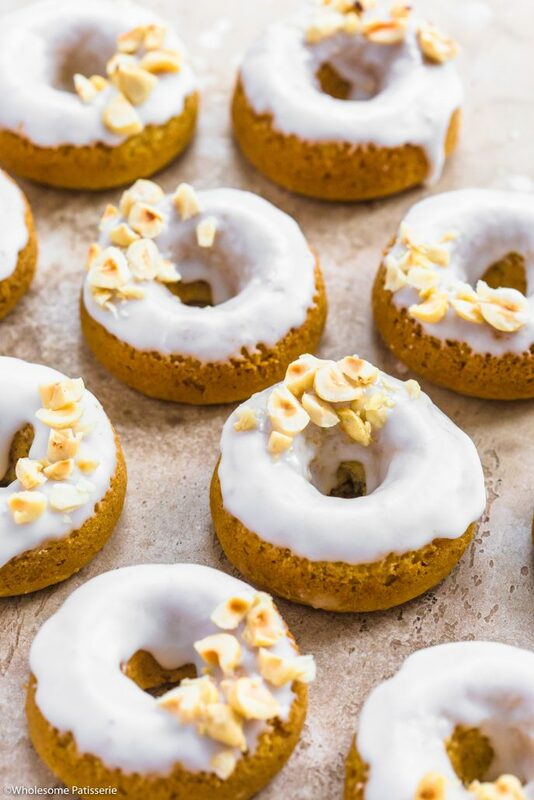 Delicious homemade baked vegan donuts are so simple and amazing! Preheat oven to 180ºC (356ºC). Grease a standard sized donut pan or a mini donut pan with coconut oil, I use a smaller sized pan with 12 donut pan. Set aside. Combined ground flax and coconut water in a small bowl, mix well. Set aside to thicken for 15 minutes. In a large mixing bowl, combine flour, sugar, baking powder and baking soda. Mix well to combine. Using a hand mixer or a stand mixer fitted with the paddle attachment, beat the mixture on medium speed for 25 seconds until smooth and well combined. Spoon batter into a piping bag fitted with a medium sized round nozzle and pipe batter into donut pan, filling ⅔ of the way up the pan. You can also carefully spoon the batter into the pan. In a small mixing bowl, add icing sugar and 1 tablespoon of the coconut water, mix until well combined. Gradually pour in the other 1 tablespoon coconut water until it forms a thick smooth batter, adding more icing sugar if needed to thicken it up or coconut water to thin it out. The icing should be quite thick like a smooth frosting, not too thin. 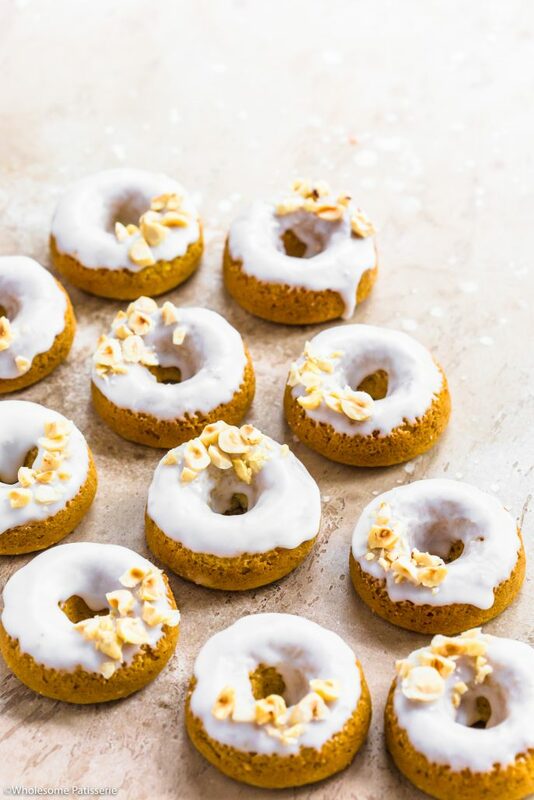 Once donuts have cooled, place the top side of one donut into the icing, carefully pick it up and let excess icing drizzle back into the bowl. Place back on wire rack. Repeat this step with remaining donuts. Before the icing completely sets, sprinkle over desired amount of chopped hazelnuts. Store in an airtight container, refrigerated, for 2-3 days. These look great! Do you have preferred blend/brand of gluten-free flour?